Outdoor dog beds are becoming increasingly popular with dog owners everywhere. 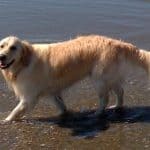 They allow your dog to spend more time outdoors, or more time with family when you happen to be outside enjoying a day by the pool, or entertaining on the deck. In this article, we review five of the most popular outdoor dog beds for comfort, durability and all weather conditions. These beds are all either waterproof or water resistant. That’s an important factor to consider in a bed that’s going to be used outdoors. Our top pick for the best outdoor dog bed is the Majestic’s indoor outdoor dog bed. It is available in four sizes, from small to extra large and in eight different colors. So you should be able to find one that’s suitable for your decor. The bottom of the bed features heavy-duty waterproof 300/600 Denier fabric. The mattress area is stuffed with plenty of super plush polyester fiber-fill for top-level comfort. The exterior sports a canvas-like fabric that’s actually polyester that’s been chemically-treated to protect against sun damage. But be aware that all outdoor elements – particularly the sun, will damage any kind of fabric in due time. This usually begins with fading, but it also tends to wear through even thick material and weaken it. There’s a zippered and removable slipcover that’s really quite durable and made from woven outdoor polyester that’s been treated with 1000 hours of UV protection from the sun. That’s about a full summer’s worth of daily sun exposure – or 2-3 years of protection if used intermittently. The slipcover is also machine washable and can be washed in warm water and tumble dried on a low setting for easy cleaning. This makes it much easier your dog’s bedding clean and fresh. Large is 50 inches wide by 42 inches long by 5 inches high. Some buyers report being surprised how big this bed actually is. Be sure to double check your size requirements before purchasing. It’s also a good idea to mark it out on the floor with masking tape to get a better sense of the footprint your chosen size of bed will occupy. It’s spacious. This brand seems larger than most – so you need to choose your size accordingly. One good thing about having a large dog bed is that you can actually lie on it beside your pet and enjoy some bonding time. It’s comfortable. It’s fluffy on top with a firmer underlay. The soft outer fabric looks nice and it seems comfortable for dogs to sleep on. UV protected to last longer. Most buyers admit this is a good quality bed that has stood the test of time. One of the biggest advantages of this bed over others is the UV protection it offers. It holds up quite well even – in a southern climate with lots of sunshine. Made for outdoors and indoors. It’s soft and fluffy enough that dogs love it. the fact that it’s made for the outdoors too is an added bonus. Water Resistant. You won’t have to worry if your dog is prone accidents are not yet house trained. Simply wipe it down or take off the cover and throw it in the washing machine. Not as rugged and durable as it could be. Light duty zippers don’t last as long. After just a few months of use, one user reports that the zipper had broken. The stitching that holds the bed together is about low-grade quality. Not as thick and plush as some beds. After several months, the inner bedding can flatten and begin to separate. This is because there’s less filling than the manufacturer could’ve put inside. Over time it tends to feel a little lumpy and sparse. Thin cover. The outer cover may not stand up to repeated washings. One user reported that their cover developed a small hole after just a couple of washes. Who Is This Outdoor Dog Bed For? 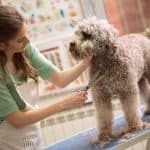 If your dog likes to fluff up her bed and consistently scratches or digs, the fabric will probably fade and eventually rip. Persistent rain and snow can also lighten the color of the cover over time, leaving it dingy looking, kind of like 5-year old patio furniture that’s been left out year round. 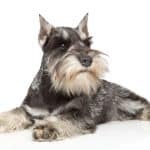 But if you can get a few years of daily use outdoors when fully exposed to the elements, you’re getting good value from your outdoor dog bed. Comfort is what this bed is all about. But it’s best suited for the dog with a mild temperament. If your dog is one of those who seem to take pleasure in destroying everything within reach, this is not the bed you should be buying. If you’re dogs comfort is a priority for you this is a bed you want to consider. Let’s take a close look at K & H Manufacturing’s Comfy N’ Dry Indoor Outdoor Orthopedic Pet Bed. It boasts and waterproof core that’s also supportive. So it’s great for all kinds of pets – active, inactive, and those with injuries or health conditions. Water can run completely through the bed and yet it will stay dry to your pet’s touch. The breathable mesh center allows air to circulate around your dog, keeping them dry and comfortable. And the nonslip bottom fabric helps keep the bed in place on the floor. It’s both stable and comfortable and the new type of foam inside is waterproof. This is interestingly different. Most beds with a waterproof cover would be damaged once anything (like urine) were to penetrate the exterior and get into the filling. But not in this case. The foam core is about 2 inches thick- a little less then the foam on a lot of competing beds. But it’s supportive enough that even heavy dogs won’t sink to the floor. This bed is also UV treated and fade resistance, so the color and condition of the cover should stand up for some time. You can also through it in the washing machine when needed. Is This Dog Bed For Indoors and Outdoors? It’s for indoors and outdoors. The fact that it’s both is waterproof and orthopedic is rare. But it’s the core material (and its waterproof characteristic) that makes this bed a game changer. Moisture is never going to be an issue with this bed. That’s what makes it such a stellar option for outdoors. The key is the fill material used. Take a closer look and what you see inside almost resembles Ramen noodles. And just as Ramen noodles can provide comfort at a budget price, these noodles provide a level of comfort and support that most dogs take a liking to right away. And you won’t have to spend a fortune either – so it’s a win-win. Waterproof construction. This one drains and dries on it’s own. There’s no need to worry about drying it off. And it should remain comfortable for a long time. Budget Pricing. This model is an economical purchase and it does the job quite well. It’s completely waterproof and the core will never get saturated. This foam provide strong support and even heavy dogs will not bottom out. As an added bonus, the foam noodles are completely recyclable, making this bed environmentally friendly option. So when it’s time for a new bed (hopefully years down the road) you can recycle the noodles. If you’re looking for one bed for all-around use, this would be a sound choice. There’s a one-year limited warranty included. The Cozy Cave features a micro suede material that’s both easy to wipe clean with a damp cloth and machine washable. The interior is a plush blend of poly-fill and small cedar fibers. The small model measures 25 inches in diameter. The large measures 35 inches in diameter and the extra-large is 45 inches in diameter. All have a 4 inch high buffer or sidewall on the inside of the bed, making the total height about 8 inches. 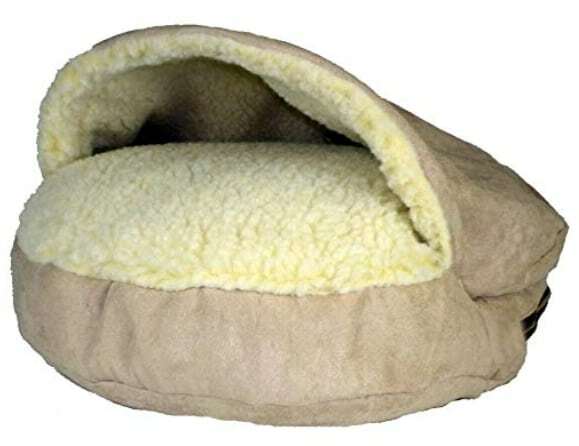 Snoozer’s luxury cozy cave is a cave style pet bed for those dogs who love to nestle or snuggle. It’s got a nice and thick fluffy poly-fill batting inside measures about 4 inches thick. Some dogs like to lay on top of this bed as much as inside during the summer months. Once the winter hits they love to snuggle up inside. That’s why this indoor and outdoor dog bed is one of the most popular outdoor dog beds available online. With a large size bed, your dog can stretch out or curl up as much as they want. The Cozy Cave can be machine washed. Simply unzip the back of the bed and remove the filler. To the left of the hood, there is a small hole where you can remove the plastic support rod. It’s very easy to wash and dry and it won’t shrink in the dryer. These beds keep dogs warm and comfortable. With high quality material. They need to get comfortable going in under the hood to check out their new quarters. For dogs that like to burrow, it usually only takes one or two times for them to happily claim this bed as their own. But you may have to show them the way in by lifting the hood. You might even have to place some dog treats, or their favorite toy inside. It can be a little challenging at first to find the opening in which to remove the plastic support rod (the part that keeps the hood open). With the opening facing you, look to the left side and move your finger up about an inch. Wiggle it around and you should find the opening in which to extract the plastic rod before washing the fabric. It’s a good idea to wash the bedding in cold water and let it air dry. If you do this, you should have no problem getting the cover back over the filler. Setup is easy. Simply un-box and then unpack the sealed stuffing and then fit the cover over it. Users claim that their bed has withstood the test of time holding up firmly for a year or more. Durable construction. This bed features sturdy zippers and solid fabric and overall, it’s a well-made product. Cozy comfort. The top is well padded to feel like a comfortable blanket on top of your dog as they sleep. For snuggling dogs – this is near perfect. Quality cover. The soft fabric cover is of good quality and on par with what you would expect. Cleanup is easy. Simply remove the plastic rod, unzip the cover, remove it and toss it in the washer. Once clean, dry it outside in the fresh air. Interior fabric can shed. The soft padding inside tends to shed a little bit – for the first couple of days or weeks. After about a month, all shedding tends to come to an end. But it can be a little annoying. Hood can fall down. Some people report having trouble maintaining the clearing in the opening after repeatedly washing the bed. The problem seems to stem from the support rod not being properly installed, or losing rigidity over time. If the entranceway is too narrow, your dog may not want to use it. With the narrow opening, the dog may need to stick their nose under the arch to get themselves inside. (however see many impressive photos on Amazon reviews) The problem is that with some dogs, this can cause the bed to lift and interrupt their ability to step on. However this is rear but has been mentioned in a couple of reviews. Why Is This Outdoor Dog Bed Best For Your Dog? A cave style bed provides a certain sense of security that helps parents maintain their regular sleep cycle. Some dogs are apprehensive at first about going inside their new cozy cave. But once they get used to it – just through some treats inside or the favorite toy and they will love it. If you like sleeping with your windows open even during the winter and you want your dog to enjoy the cozy warmth that’s similar to your bed, this could be a good fit. 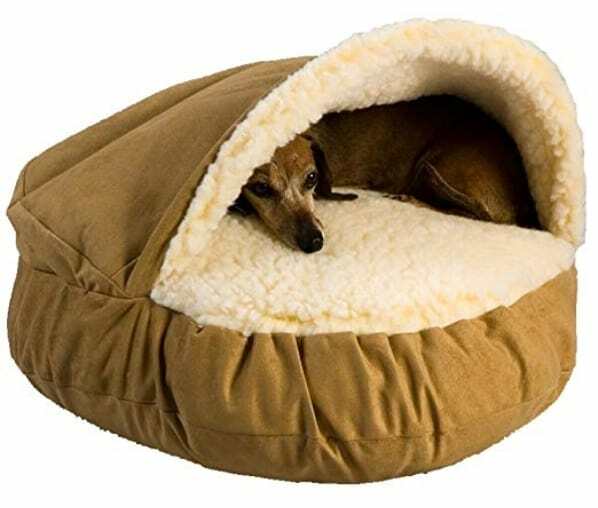 The cozy cave blocks the cold air from flowing directly on your pet while providing a comfortably warm bed for sleeping. Should they warm up to an uncomfortable level they can crawl out and position themselves on top of the bed. Not surprisingly, the Super Snoozer bed delivers on its promises and is becoming increasingly popular in the dog bed marketplace. The exterior is a tough and stylish, fade resistant polyester that’s been UV treated. And the water resistant capability means this bed should last longer than others. It’s versatile design makes it great for indoors or outdoors and it’s sure to provide a comfortable sleeping and resting area for any dog. Pet Craft Supplies Company claims that this cover will can withstand more than 500 hours of direct sunlight. While that may be useful, it’s only half of what our other similar recommended outdoor dog beds offers. There’s no doubt that this one is well-made with strong seams that hold up under daily use. Kudos to the manufacturer for choosing an extra tough exterior fabric that is resistant to the elements, yet friendly to dogs. Interestingly, the water resistant finish actually wicks moisture away – meaning it channels the water from the body of your pet. This bed also keeps it shape and is suitable for dogs of all sizes. The poly-fill interior features a channel liner which helps the bed maintain its shape – no matter how often it is relocated from room to room, or location to location. This unique design features a stitched-in dog bone in the middle of the pad. Not only does it give it a unique (and pretty cute) look, but if forms a firm, yet slightly uneven surface – which a lot of dogs seem to actually prefer. For dogs who like to feel protected and comfortable at the same time this bed makes it excellent choice. This dog bed cleans off easily – just like anything else that’s designed to stay outside. All you need is a hose and a scrub brush. And the fabric is firm enough to not easily absorb those nasty stains. Some people prefer a bed that has a zippered liner they can be removed and tossed into the wash but there’s no such cover on this bed. 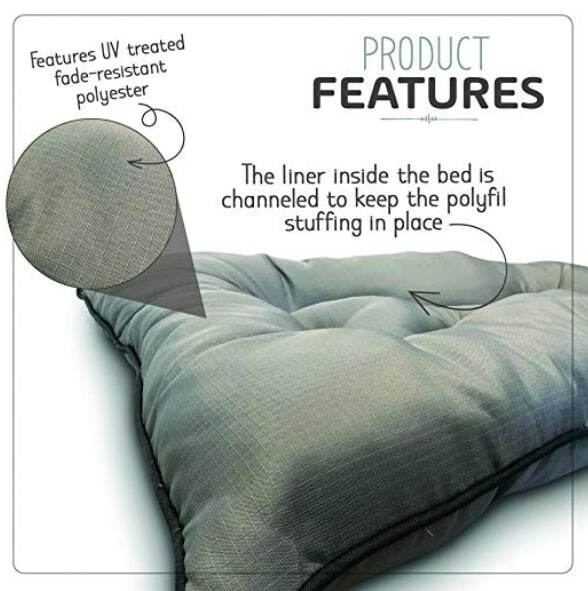 It’s a plump yet soft bed with just enough cushion and stiffness to hold up over time. The exterior material seems to be the same kind of material you would find on quality patio furniture. It’s attractive, strong, and resilient. Plus, it dries up quickly after a rainstorm. It’s built tough. The exterior is water resistant UV treated and fade resistant polyester. So it can be kept outdoors. It’s cute. There’s no denying the bone design stitched into the center adds a degree of charm. It’s therapeutic. Sure, it’s comfortable for any dog. But those with arthritis or other age-related conditions tend to take a special liking to this one. That’s as strong an indication as you can get that it provides both comfort and adequate support for those with weaker joints. It’s lightweight. 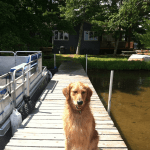 Since its easy to move, your dog can go with you when the family gathers on the deck or patio by simply bringing that bed along. Low maintenance. With minimal care it looks as though it will last at least as long as your quality patio furniture. No Removable cover. For some, not having a removable cover is a problem – even though this bed is easily wiped down and spot cleaned. Not completely waterproof. It’s water resistant- not waterproof. But what is really? After all, given time water can cut through stone. That leads us to wonder how truly “waterproof” any fabric is when water is ever-present. It’s a plump yet soft bed with just enough cushion and stiffness to hold up over time. Some buyers have thrown the whole thing into the wash without fussing about. But do so at your own risk. It’s much safer to spot clean with a hose and scrub brush and allow it to air dry in the sun. Canine Ballistics claim that is bad is virtually indestructible and capable of resisting the destruction that’s caused by 99% of chewing dogs. They also offer a 120 day guarantee to back their claim. So if you’re skeptical, you can go ahead and try it out. If your dog damages the bed within that timeframe – you’ll get a replacement bed, free of charge. This dog bed is clearly a winner. It’s available in sizes ranging from small to XXL – and in five colors, including: green, red, blue, tan, and black. Not only is it chew resistant, but the densely woven fabric also holds up to scratches, dirt, odors, hair, and water. It can even prevent tearing and small holes from occurring. Because of its smooth canvas-like texture, liquids and dirt easily fall off to the side, making cleanup simple and easy. Most spills can simply be wiped up and hosed down. 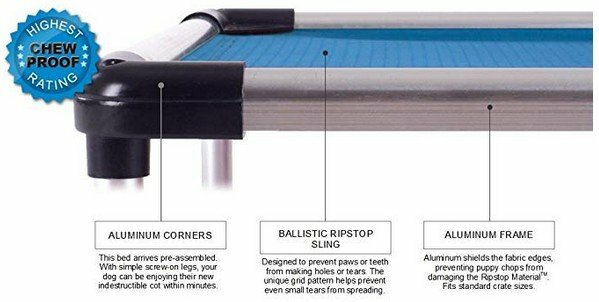 With an aluminum frame surrounding the fabric, all corners and vulnerable spots are protected. The material is tight and taut, so there’s no loose edges for a dog to grab and pull apart. Since the bed surface is off the floor, there’s plenty of air circulation underneath and around the bed. The tight fit of the fabric on the frame also means that no person or dog can pinch themselves. It features a sturdy frame that looks like a mini trampoline. The tight fit of the fabric on the frame also means that no person or dog can pinch themselves. In terms of comfort, it’s probably not as comfortable as a bed built from thick memory foam. But it should be fairly comfortable. The fabric will naturally stretch a bit over time, particularly when heavier dogs are using it daily. After a year of near daily use one user reports that the fabric has begun to slightly droop. But there’s no sign of damage and the overall structure is still as solid as it was on day one. Another buyer reports having had it for over two years and the bed withstanding a lot of scratching over that period of time – yet remaining in good shape. Solid and strong. The frame is solid and built to last and the fabric is durable for most dogs. Air can circulate. Since the bed surface is off the floor, there’s plenty of air circulation underneath and around the bed. Not truly indestructible. The only problem is that a lot of dogs tend upon their sleeping quarters before they settle down. Rough paws can scratch the surface and eventually cause holes to appear. Doesn’t look very comfortable. This hammock style bed may not look to be that comfortable. But once a dog gets used to it, they usually sleep soundly on this thing. Can be noisy. It’s maybe a little noisy for some people. As large dogs get on and off this bed, it makes a bit of a thumping sound. Who Is This Outdoor Dog Bed Best For? There’s no doubt this bed is a little different. But different styles of beds can be comfortable in their own way. And they don’t all have to be exactly alike. If your dog needs a bed with rugged construction – this one is it. When you’re looking for a quality dog bed that can handle the outdoors – no matter where you live – these beds are the best bets for your dog. Our best overall outdoor dog bed is the Majestic. 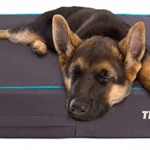 For a best budget priced option – go with the Comfy N’ Dry Indoor Outdoor bed and for the strongest, most rugged bed that’s least likely to be destroyed, choose the Canine Ballistics Durable Chew Resistant Dog Bed.